On April 3, 2019, the Appalachian Regional Commission (ARC) announced three major awards—totaling $3.36 million—designed to boost revitalization and economic diversification in Appalachian Region communities that have been devitalized as a result of the nation’s switch to cleaner, more-responsible power sources. These investments focus on strengthening responses to the substance abuse crisis Kentucky and Ohio, and building a sustainable local food system in North Carolina. $1,100,000 to North Carolina State University Center for Environmental Farming Systems (CEFS) to develop a sustainable infrastructure for local and regional food systems in western North Carolina with an emphasis on technical assistance, market development, career ladders, value added opportunities, and other supply chain needs. NOTE: Storm Cunningham will soon be adding to this regenerative agriculture momentum when he keynotes a major fundraising event for the Carolina Farm Trust. It’s taking place in Charlotte, North Carolina on May 2, 2019. Funding for these awards was made via the POWER (Partnerships for Opportunity and Workforce and Economic Revitalization), a congressionally funded initiative that targets federal resources to help communities and regions that have been affected by job losses in coal mining, coal power plant operations, and coal-related supply chain industries due to the changing economics of America’s energy production. Including this new announcement, ARC has invested over $148 million in 185 projects touching 312 counties across Appalachia since 2015. ARC is working with Chamberlin/Dunn LLC, a third-party research firm, to monitor, analyze, and evaluate these investments. 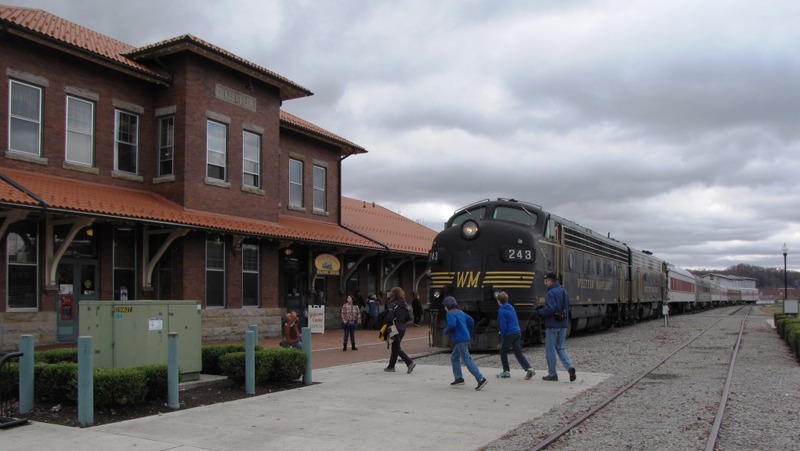 Photo of historic train station in Elkins, West Virginia by Storm Cunningham. Tourism based on repurposing and renewing old infrastructure like this is just one way in which the formerly coal-dependent local economy is being diversified.